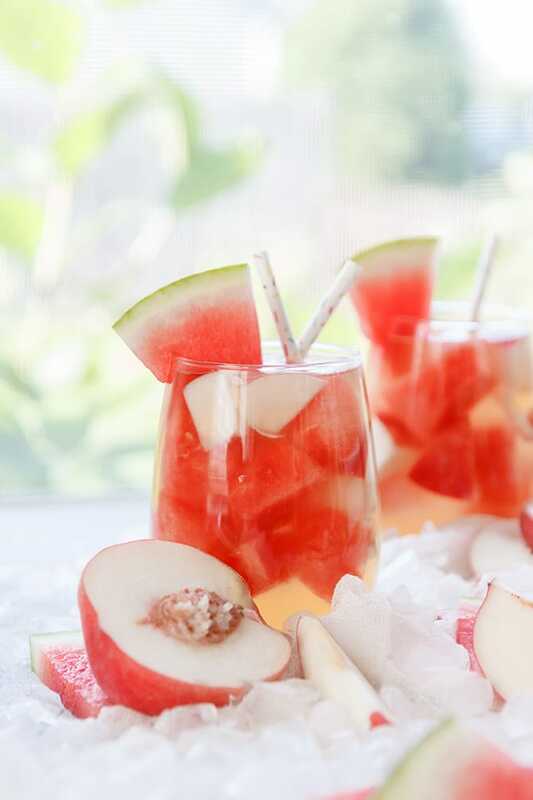 Delicious and refreshing white peach watermelon sangria made with crisp white wine and peach nectar that is sure to be a big hit at your next party! It’s sangria time!! It’s been a crazy year and I have not made a new sangria in a long time. But today I’m finally sharing a new recipe with you. My girlfriend was having a little party a few weeks ago and asked everyone to bring a little something. Usually I’ll bring a dip of some kind or a side dish but she specifically requested a sangria recipe. I’ve made some of my previous sangrias before – this raspberry one and this blackberry one – for her before so I thought this time I would make something new. Side note: I think next time I’ll make some cherry sangria…. 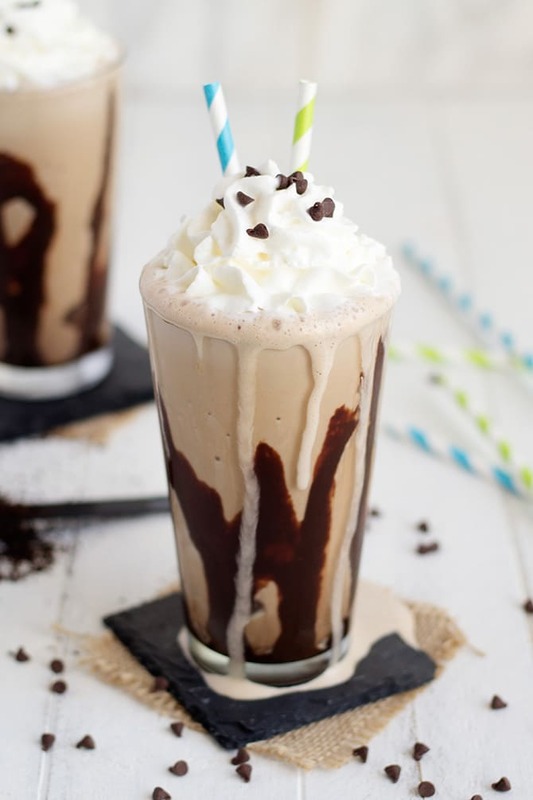 Mmm that sounds delish. Since it is currently the middle of summer, watermelon was the first thing that came to mind. 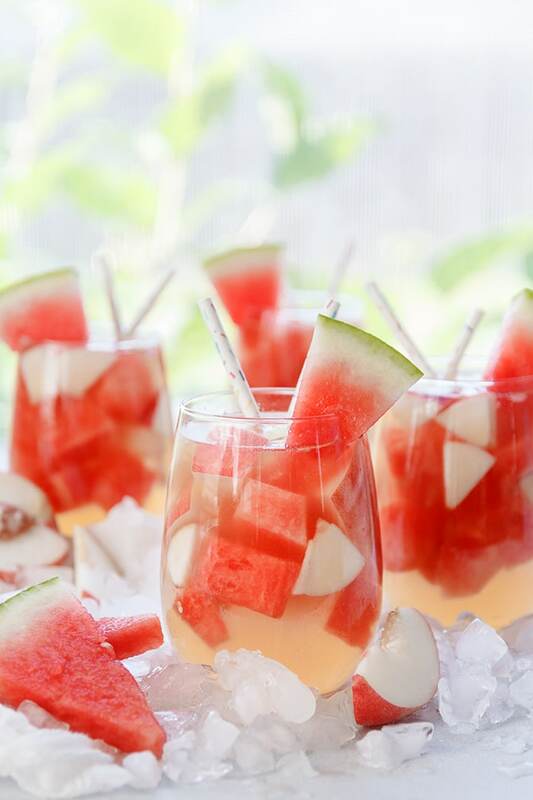 I love watermelon in the summer and all things watermelon is right up my alley. Now, I’ve totally made a watermelon sangria before and also a peach sangria before so I thought I would combine the best two sangrias I’ve made into one. 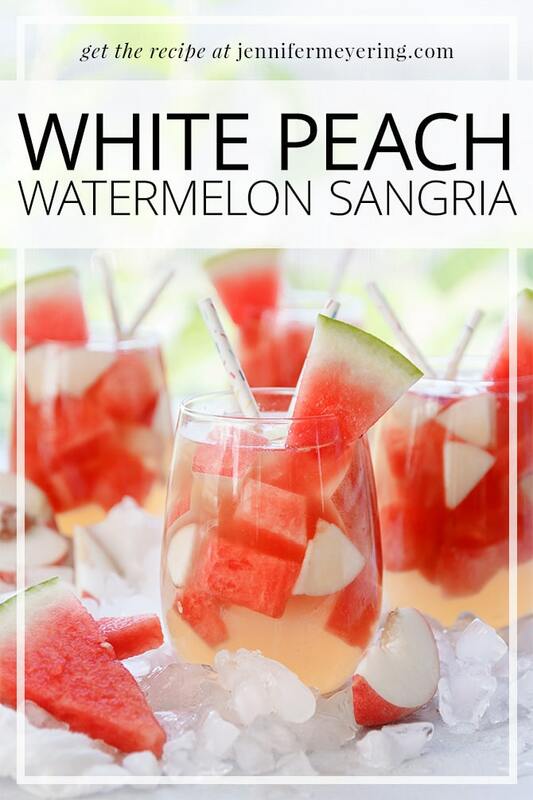 Then this white peach watermelon sangria was born. I figured white peaches this time since they are plentiful and they have a little sweeter flavor than a regular peach. 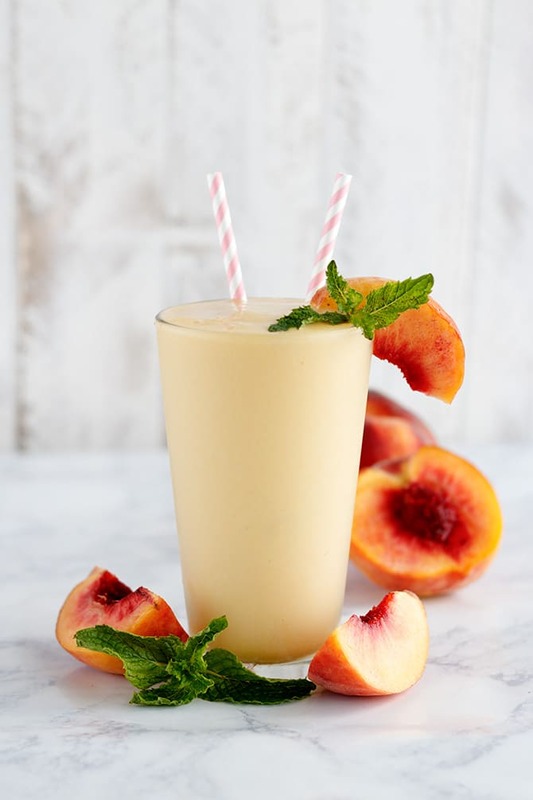 Of course, you can use regular peaches if you feel like it. Either way it’ll be great and you cannot go wrong. When I made a watermelon sangria before, I made it with fresh watermelon juice. This time I opted for the pre-made juice as I was short on time when she requested it. Pre-made watermelon juice has other flavors in it so it’s not 100% watermelon but it works in a pinch. 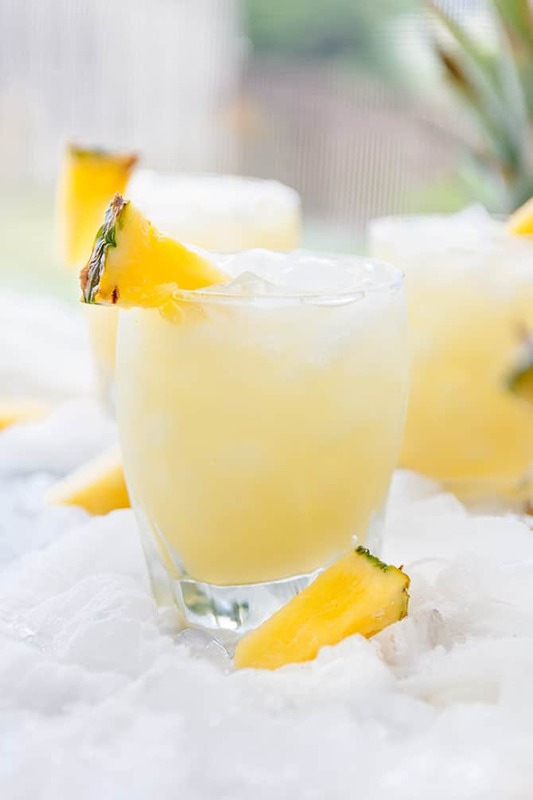 I’ve made this recipe twice now and the second time I made it with fresh juice and it definitely has a better flavor with the fresh juice. Anyway, have a great weekend! Make yourself some sangria and relax in the sunshine! Add all ingredients into a large, gallon-size pitcher. Stir thoroughly to combine. Can serve immediately or you can refrigerate for up to 6 hours before serving. Garnish with extra peaches and watermelon before serving. 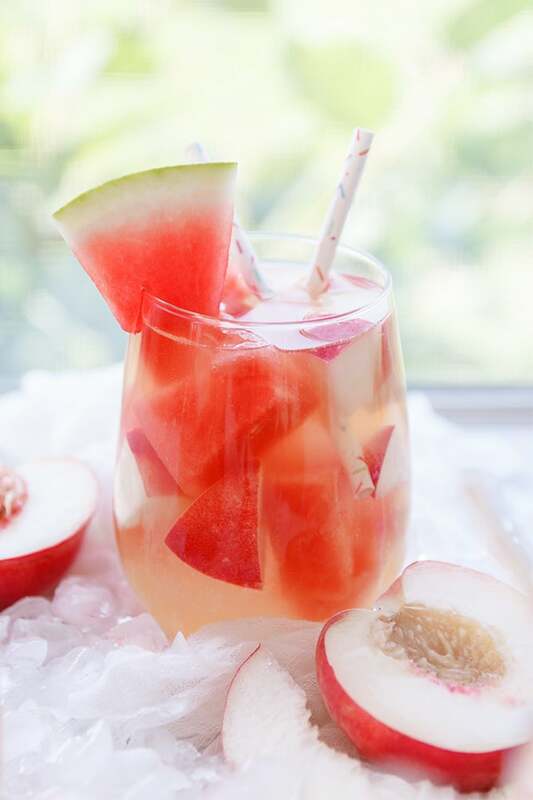 *can either use store bought watermelon juice or make your own using this recipe here.